Mumbai:SHIFT uses Mumbai’s privately owned and underused Eastern Waterfront as the site for a paradigmatic SHIFT of current urban development practices. 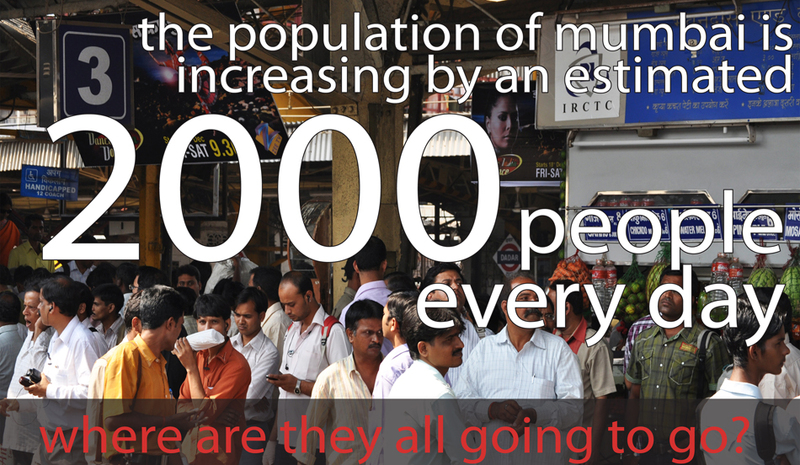 The project targets three concerns: 1) a lack of East-West urban transit connections triggered by inequalities in urban development that favor north-south expansion, 2) a lack of public open space and, 3) the projected population growth [from 19 million in 2005 to 28 million by 2020] on Mumbai’s already saturated and dilapidated urban/social fabric. These concerns intertwine at multiple scales to provide opportunities for new models of dynamic urban development that leverage existing policies [specifically, the transfer of development rights] toward both social and market inclusion. The process is set in motion by the strategic implementation of bus rapid transit systems that draw east-west connections between major transportation nodes—weaving the island city laterally and raising property values along both the new transit spines and the eastern waterfront. 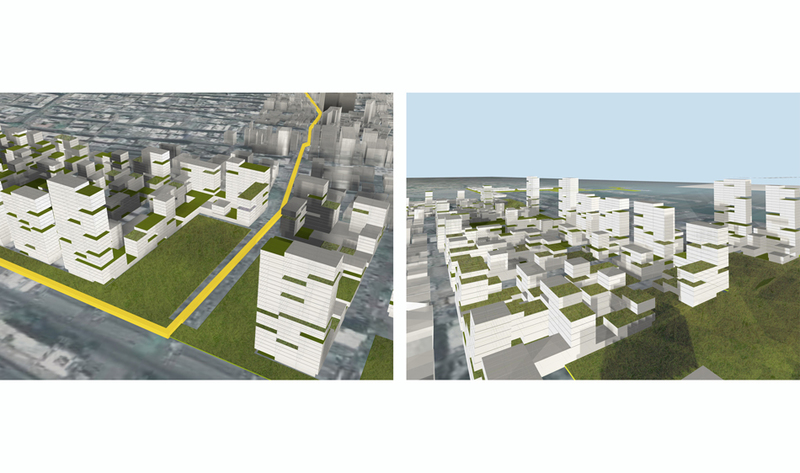 This creates opportunities to rezone [with higher FAR] and develop urban land. Any new development would be contingent upon a linkage policy that binds new developable Eastern Waterfront properties [new TDR receiver sites] to specific inner city parcels of land containing dilapidated buildings [new TDR sending sites]. 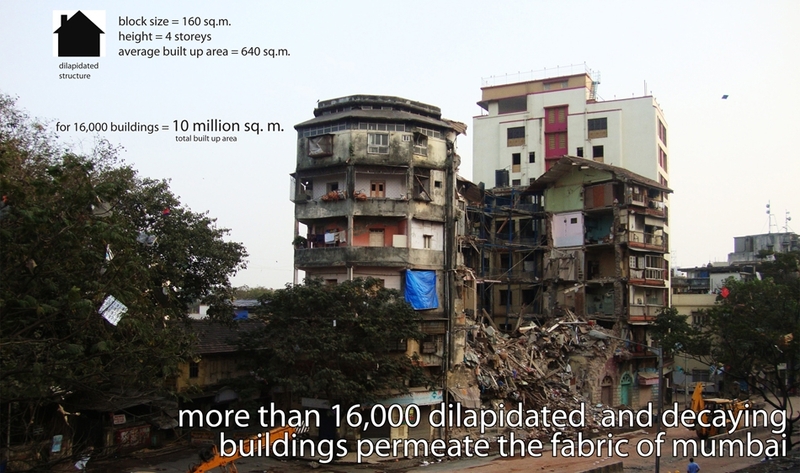 Thus concurrent with new development is both the opportunity and incentive to reprogram dilapidated sites [approx. 16,000 sites] for public uses. The Eastern Waterfront acquires both social and market value. Intertwining Concerns: Poor Transportation Network. 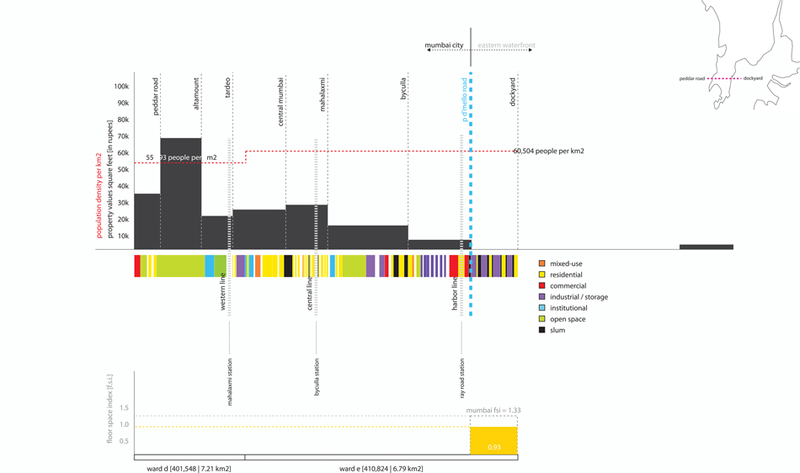 Informatic Urban Cross Section: Urban Program to Density to Property Values. 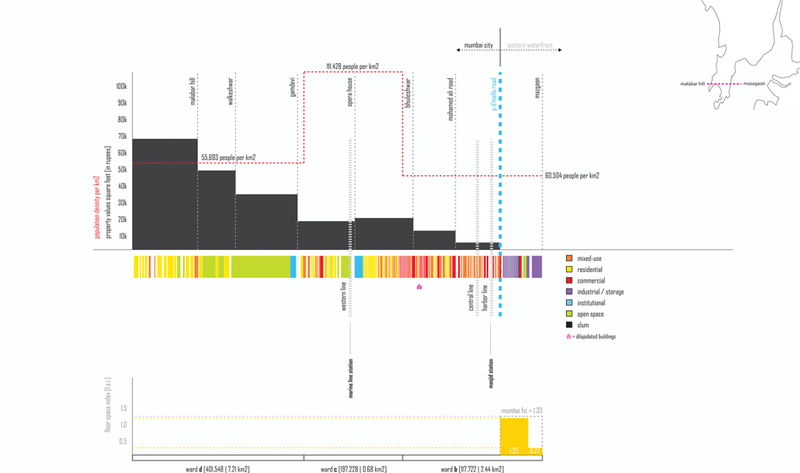 Existing Bus and Train Network (left) / Proposed East/West RBT System (right). TDR Transfer Strategy. As transit connections physically link the Eastern Waterfront with the inner city, a development linkage policy links them financially and programmatically, triggering a development ecology that is both social and market-driven. Dynamic Development Scenario along Proposed Transportation Corridors.